Attack 1 : Awesome smile!!! The defending pokémon is paralyzed. 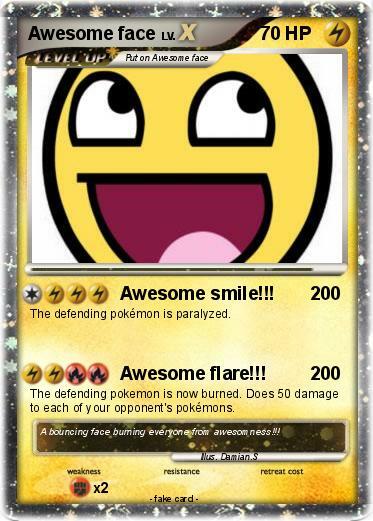 Attack 2 : Awesome flare!!! The defending pokemon is now burned. Does 50 damage to each of your opponent's pokémons. Comments : A bouncing face burning everyone from awesomness!! !